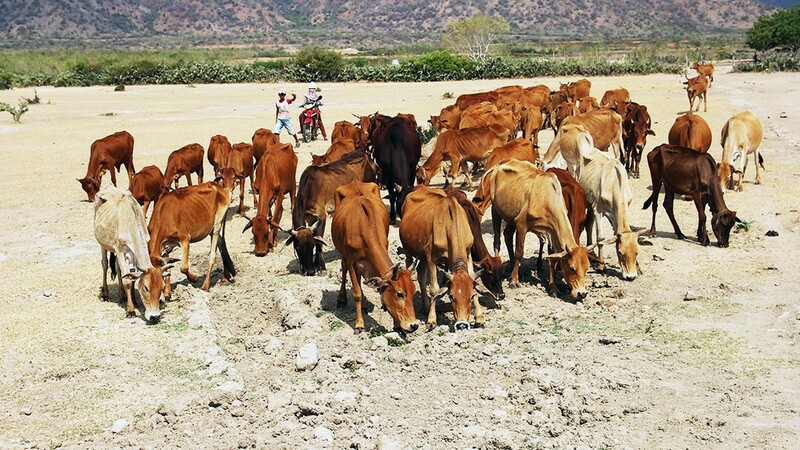 A herd of starving cows desperately look for food and water. 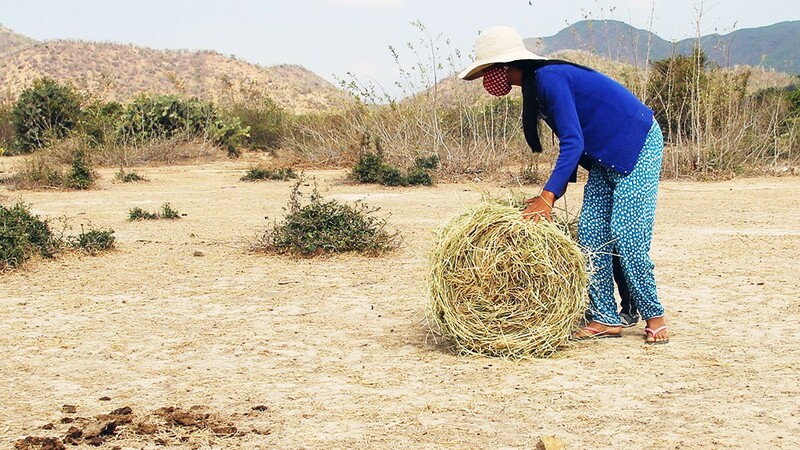 Chamaléa Thi Xuat pushes a roll of straw back to her home in order to feed her cows. 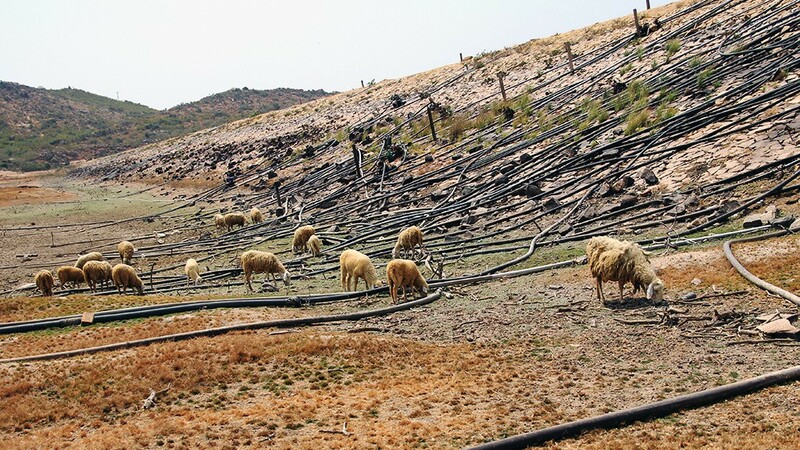 Sheep eat grass at the bottom of the Ong Kinh Lake. 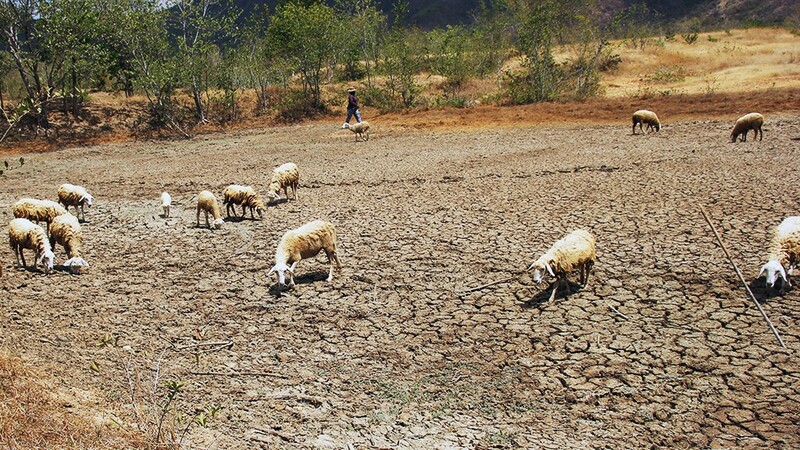 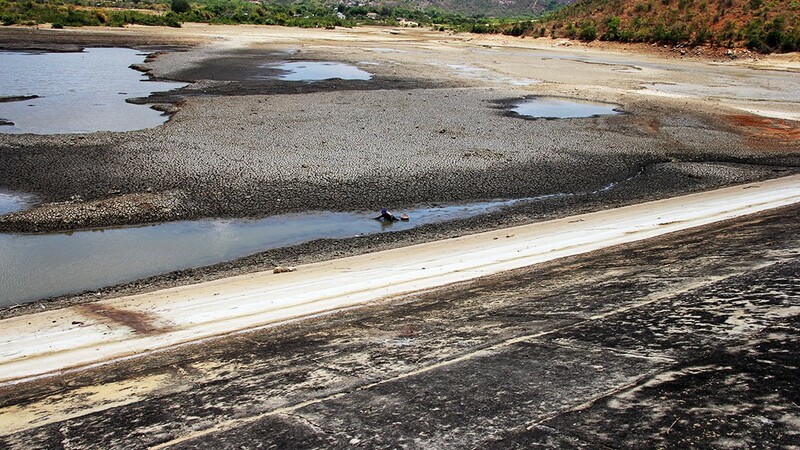 The Phuoc Nhon Lake in Phuoc Trung Commune, Bac Ai District is drying up due to severe drought. 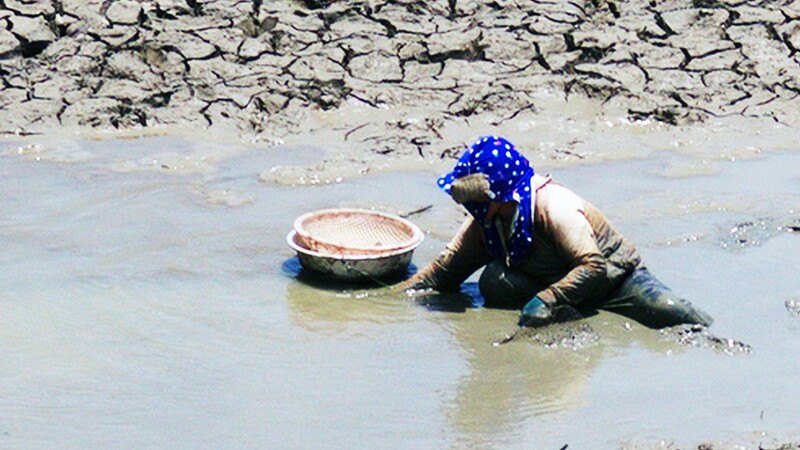 Le Thi Hong hunts for crabs and shells in a puddle of water inside Phuoc Nhon Lake. 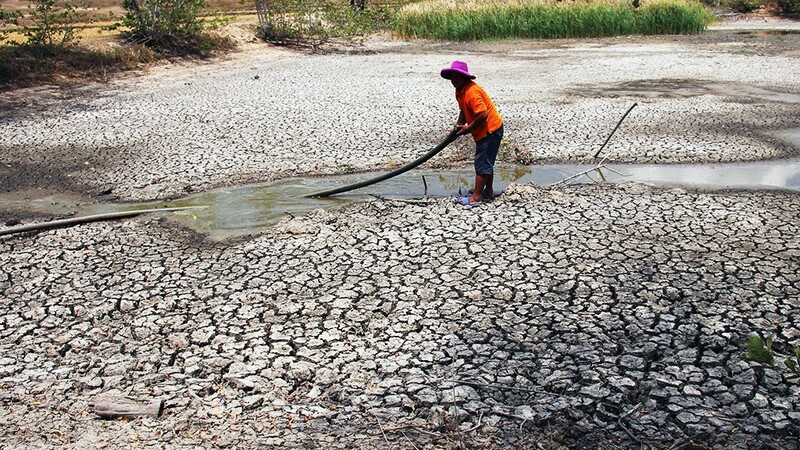 A resident pumps water out of a pond he had dug. 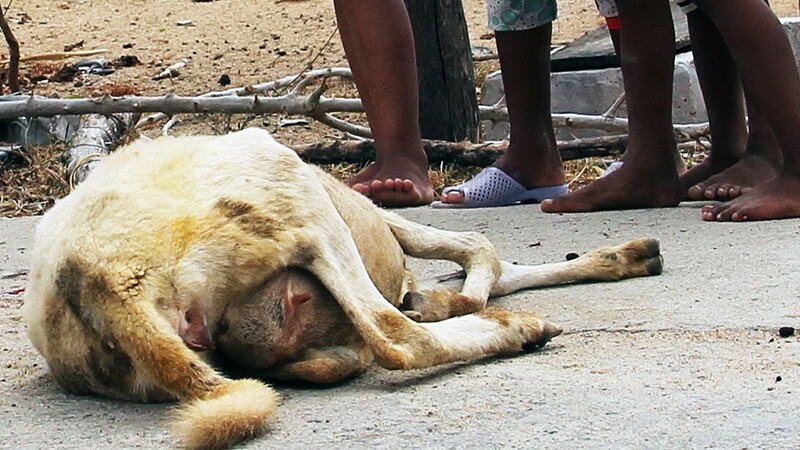 A pregnant sheep dies of the lack of water and food. 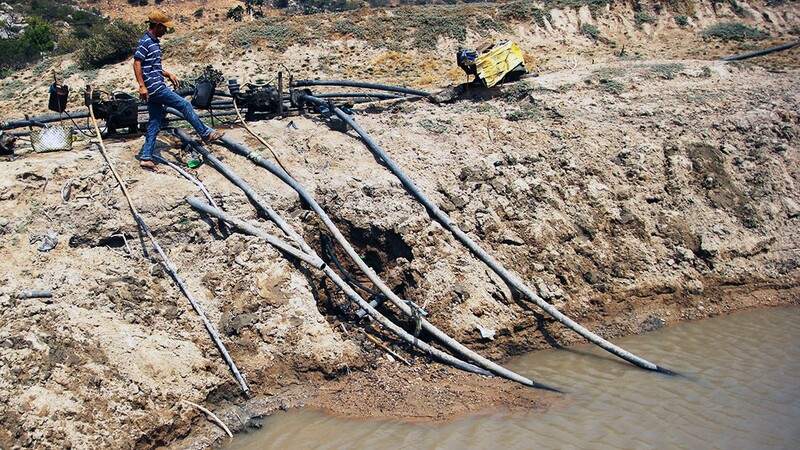 A man rides his motorbike in the middle of Ong Kinh Lake. 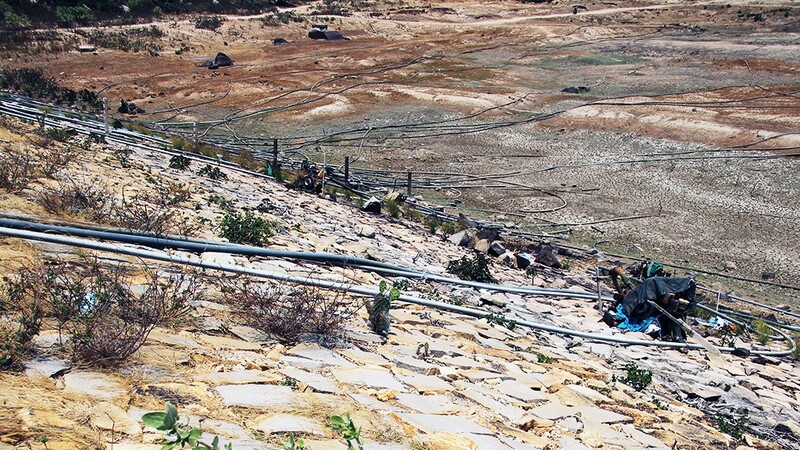 Numerous pumps are set up to collect water from the drying Ong Kinh Lake in Ninh Hai District.